Expert Option is one of the new entrants to the online digtal options brokers industry. Founded in 2015, the company is based registered in Saint Vincent and the Grenadines.Their headquarters are located in the Griffith Corporate Center suite 305. This digital options broker is licensed under certificate number 0395 AA Vv0084 by the Financial Markets Regulations Center (FMRRC) in Russia.They are also regulated by the Vanuatu Financial Services Commission (VFSC). However, upon searching the VSFC website to check whether Expert Option is actually regulated by this body, we couldn’t find any confirmation. The platform was built to enable traders from different parts of the world gain easy access to options. This however doesn’t mean that traders from all countries are allowed to trade on the platform. Due to regulatory requirements in some countries, Expert Option doesn’t offer their services to citizens of countries such as the USA, Canada, Israel, Japan and Australia among other countries. You can also email or directly contact a customer support member through their online chat feature. 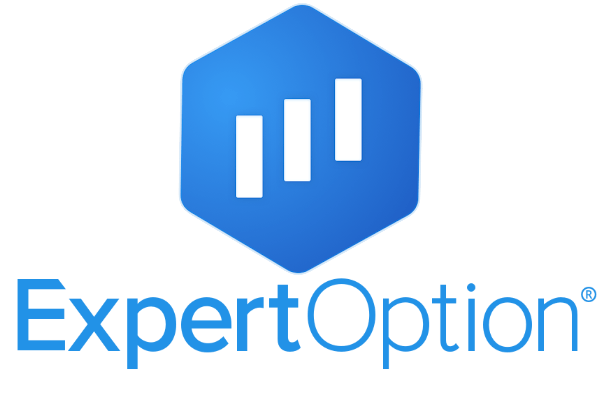 Is Expert Option legit online digital options broker? What makes ExpertOption stand out? Should you open an ExpertOption trading account? What types of assets are available at ExpertOption? Have there been major regulator warnings about ExpertOption? Being a fairly new online options broker, there’s not much online information about Expert Option. However, we’ve done our best to collect information from different online sources including forums, social media and different websites. One of the things that point to ExpertOption’s legitimacy is their transparency. For one, they’ve explicitly provided their contact information. Some brokers usually only provide an email address which makes it harder to get in touch with their customer support staff. The broker is also regulated by the FMRRC and VFSC. Although both brokers aren’t as recognized as CySEC and ASIC a regulated broker is always better than a non-regulated broker. The regulators governing this broker can also be attributed to their target market. From their list of non-supported countries, it’s evident that Expert Option largely targets traders from Russia and other Asian countries. In addition, their platform is available via a .ru and a .com domain address which is further evidence of their main target market. At the time of writing, ExpertOption has over 7 million registered accounts. For a new player in the industry, this is an indicator of the interest they have drawn from traders from the over 150 accepted countries. One complaint that we regularly came across on forums is their bonus scheme. Each new account opened with the broker qualifies for a bonus of up to 125%. Although most traders would welcome this bonus, the problem is that the bonus amount locks in your deposit. This means that you cannot withdraw the bonus amount until you’ve reached a set turnover volume. Like many online brokers, Expert Option offers a demo account credited with $10000 virtual cash. This allows you to try out the platform without investing real cash. They also offer 5 different account types each with a minimum deposit amount, bonus amount and additional features. The account types will be discussed further in this ExpertOption review. Another good feature is the $1 minimum you need to enter a trade and the $10 minimum you can withdraw. Not much is known about the two regulatory bodies that have licensed the broker. In addition, once you receive a bonus trading amount, you will need to meet a specific trading turnaround in order to withdraw your earnings. ExpertOption offers a free demo account with $10000. If you’re new to digital options trading, it’s recommended you take advantage of this account before investing your own cash. This way, you’ll get to learn more about the platform as well as practice how to trade. Opening a real trading account is quite easy. The Expert Option platform comes in a simple and intuitive design. To get started, you’ll need to choose one among the 5 different accounts. Here’s a brief description of what each account offers. The minimum amount needed to open a basic account is $50. This account type is quite limited in terms of features. As a basic account holder, you can open up to 10 trades simultaneously and invest up to $25 per trade. You’ll need to deposit at least $500 to open a silver account. Some of the features available with this account include a personal manager and daily market reviews and financial research. The maximum amount you can invest per trade is $250 and you can open up to 15 trades simultaneously. profit, ability to open up to 30 trades simultaneously and priority withdrawal of funds. Platinum account holders need to deposit at least $5000. Besides features provided in the gold account type, you’ll also get a personal account manager and up to 4% increased asset profit. The maximum amount you can invest in a trade is $2000 and you can enter into as many trades as you want at any given time. This is an invitation only type of account. Besides features offered in the platinum account, you can invest as much as $5000 per trade and earn up to 6% increased asset profit on your trades. Expert Option accepts over 20 different payment methods. These include credit/debit card, Webmoney, Neteller, bank transfer and Skrill. Once you’ve earned profits on trades, you can make withdrawals via one of the accepted payment methods. Withdrawal requests are processed within 2 working days. However, it might take longer than this for funds to reflect on your account. In addition, gold, platinum and exclusive account holders can see their funds processed faster thanks to the priority withdrawal feature. The Expert Option platform is available through a web browser, desktop app or a Smartphone app. It’s worth noting that the platform is built upon their custom trading software. This is unlike many established brokers whose platforms easily integrate with third party software such as MT4 and MT4. We recommend using the trading apps as opposed to a web browser especially if you’re using a real account. The reason for this is that we found the apps responsive to the type of device you’re using. charts making it easier to monitor each trade by itself. Another unique feature you can easily access via your trader account is social trading. This feature allows you to explicitly view other traders make trades or even directly trade with your friends. This feature comes in handy when you’re new to trading and simply want to learn from pro traders. limited. However, for new traders a limited asset list to choose from makes it easier to choose a handful that are easier to monitor and trade with. Their cryptocurrencies list is quite impressive. While most brokers prefer to offer just Bitcoin and Etherum, Expert Option offers well over 10 different cryptocurrencies along with exotic pairs such as BTC/INR (Bitcoin/Indian Rupee). 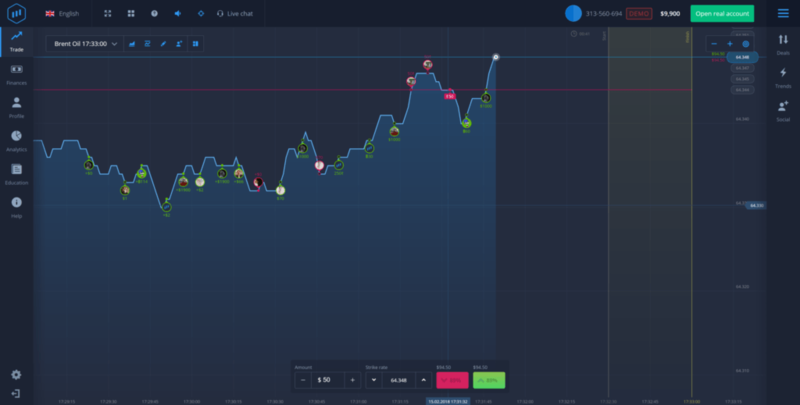 In addition to their cryptocurrencies offering, Expert Option also offers up to 96% payouts on successful trades. NOTE: From our research, we came across trader complaints regarding the percentage profits you can earn on successful trades. Many complaints pointed out that the percentage earnings usually drop when you start to regularly win trades. Upon inspecting the ExpertOption FAQ section, the broker reports that the profit earned per trade depends on the existing market situation. You should therefore expect to see your earnings per trade fluctuate from time to time. Given that Expert Option isn’t licensed to offer their services to citizens in most European countries, Australia, the USA or Canada, we didn’t expect to find any regulator warnings from major agencies like ASIC or CySEC. As far as VFSC and FMRRC go, we didn’t find any warnings; fines or complaints lodged against the broker. This however doesn’t mean that you should ignore the different complaints lodged by traders regarding their bonus system or fluctuating profits. We would always recommend you consider these two factors before investing with the broker. Breakdown of how we rate Expert Option based on specific features rather than provide an overall rating for this broker, we chose to rate specific features individually. This makes it easier to compare ExpertOption against other popular brokers we’ve reviewed. Overall, the simple and intuitive platform design makes Expert Option fairly easy to get started. The demo account with $10000 virtual cash also makes it easy to test the platform without having to invest any real cash. Accessibility is one factor that most brokers overlook. We liked the fact that the ExpertOption platform is accessible via different devices as well as 12 different languages. On the downside, the apps don’t come with detailed user tutorials. You can choose from among 100 different instruments. This is quite limited given that some brokers will offer over 1000 tradable assets. However, their collection of cryptocurrencies and exotic instrument pairs is quite good. The maximum period you can hold a trade position is 15 minutes. The least amount of time a trade can last is 60 seconds. This range favors day traders better compared to traders who prefer holding position for days or even weeks at a time. Expert Option claims that they don’t charge commissions on transactions. However, they will deduct 10% of your withdrawal amount if your trades don’t equal or exceed the amount you deposited. The broker also claims that successful trades will attract an effective return of up to 95% of the invested amount. However, this amount is likely to fluctuate depending on the existing market conditions. ExpertOption provides 3 different contact numbers for clients from different regions in the world. In addition, you can also contact customer support via email or live chat. You can choose among 20 different payment options to fund and withdraw from your trading account. The range of payment options available makes it easier to find the one that’s more convenient for you. 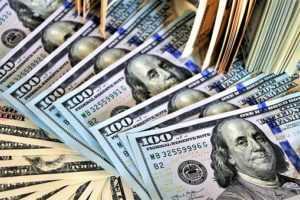 New accounts attract bonuses that range between 50% and 125% of the amount deposited. You can choose to decline the bonus. This is only possible if you haven’t started trading. One downside to accepting the bonus is that it locks your deposited funds. Only after you’ve met a set trading threshold can you be able to withdraw your deposit, profits and bonus amount. Expert Option allows you to withdraw as little as $10. Every withdrawal request is processed within 2 working days. However, how fast you’ll get your money largely depends on the account type you hold. For gold, platinum and exclusive account holders, the priority withdrawal feature allows them to get their withdrawals processed faster. There are 4 account types you can choose among and one invitation only exclusive account type. 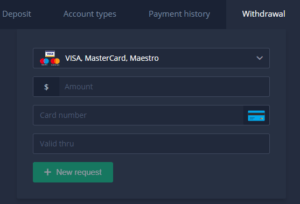 Each account type comes with a minimum deposit amount as well as a set of unique features. Expert Option is still a fairly new player in the online digital options industry. Unlike most brokers who primarily target traders from Europe and Australia, ExpertOption seems to focus more on markets that span Asia, some parts of Europe as well as South and Central America. With over 7 million registered accounts, they’ve grown quite fast over the few years they’ve been around. This broker offers most features you’ll find in well established platforms. However, they try to differentiate themselves through the high 95% effective return, a huge list of cryptocurrencies and 5 different account types. Interestingly, the effective return claim is what has drawn the most complaints from traders. Overall, Expert Option is worth considering if you don’t mind fluctuating effective returns from successful trades. On the other hand, if you prefer trading in a more predictable and tightly regulated broker, we recommend you choose one of the CySEC or ASIC regulated brokers available today. Broker’s great. I am not new to the industry, but I have already made good money with this broker. I believe that the broker can bring really good money. As an investor your major tool for success is information i was a victim of scam due to lack of proper information though that was in past because Finally I have gotten back all my lost fund and bonus from CFD stocks. They stocked all my trading capital and deprived me access into my account for over two months now after I’ve invested $80K with them, my hard earned money. Thought I was not gonna see this day, but as God may have it, today I’ve got back all my money back for real. I will forever remain grateful to God. If you’ve been locked out from logging into your binary option trading account or you are unable to make withdrawal from your broker account, maybe because your broker manager is asking you to make more deposit before you can place a withdrawal and you need my assistance, kindly get in contact with me phic601@gmail.com or via whatsapp +13236121488 and I will guide you on steps to take to regain access to your account, make withdrawal freely and easy, as well as recover all your lost fund. Hello everyone I’m Cynthia Jones i initially invested a total sum of $95,000 over a period of 18 weeks. My bonus/profit was $170,000, every attempt to make withdrawal failed and I was instructed to make another deposit of $25,000 before I can make withdrawals which I did. Up till now I’m still unable to make withdrawals and all attempt to contact broker has failed. This is very pathetic and I advise everyone to desist from binary options generally. I did a due diligence test before investing with them but guess what I ended up getting burned. This is to create awareness, not everybody can be as lucky as I was. I’m saying this because I was able to recover my funds through the help of Mr John Hopkins Thanks to Mr John a private investigator and wealth recovery expert…Contact him on email via johnhopkins7070@gmail. com for more enquiries. And he will guide you on steps to take and get back all you have lost. Am very happy to share this because i love seeing someone smile again.